DOG, BOAT LOVER AND RV LOVERS DREAM HOME COME TRUE. 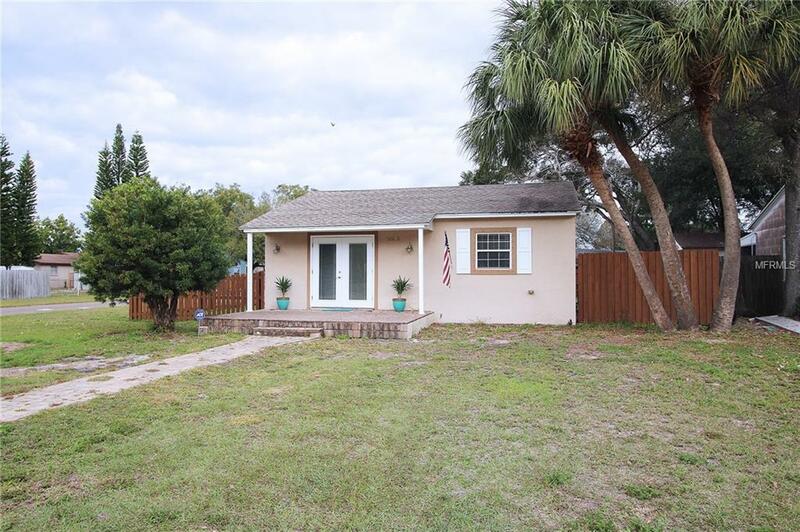 This charming and quiet Gulfport corner lot home is thoughtfully renovated and move-in ready. Less than half a mile from Stetson College of Law and less than a mile from Gulfports famous Beach Boulevard this home has tile floors throughout, a front-loading washer and dryer, a beautiful marble-covered bathroom vanity and a state-of-the-art ADT alarm system with motion sensors pre-installed. The homes spacious corner lot has a beautiful fenced in back and side yard, with carriage style rolling gates that are lockable and over $7000 worth of fabulous pavers that form the perfect 20 wide driveway, front porch and walkway. Entertain to your hearts content under the covered dining area, play with your dogs, and house your boat, cars and RV in comfort, privacy and style. This home is located in Flood Zone X, which means NO FLOOD INSURANCE IS REQUIRED! Snowbirds or full-time residents love Gulfports sandy beaches, unique restaurants, pubs, antique stores, and boutiques, not to mention the classic Gulfport Casino, where you can DANCE! If youre a boater, Gulfport residents get free boat ramp access! The home is also just minutes to downtown St. Petersburg and all major highways. Dont let this one get away!